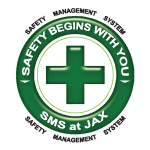 JACKSONVILLE, January 25, 2010 – The Jacksonville Aviation Authority (JAA) announced the number of passengers traveling through Jacksonville International Airport (JAX) rose 3 percent in December, making it the fourth consecutive month for passenger increase at the airport. The total number of passengers last month was 455,148. 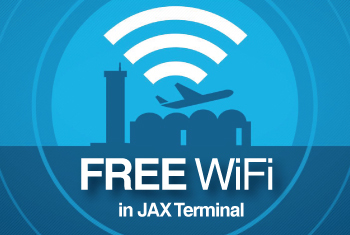 That’s 12,524 more passengers as compared to those who passed through JAX in December 2009. “These numbers are very encouraging, and we look forward to a new year that will provide more travel options for our customers at JAX,” said JAA Chief Executive Officer and Executive Director, Steve Grossman. Additional service in 2011 includes Delta and American Eagle Airlines’ flights to Miami, Florida, JetBlue’s service to Puerto Rico and Southwest’s service to Denver, Colorado. Nine daily departures were added by major carriers since December 2009 for a total of 93 daily departures by December 2010. The number of available daily seats on major carriers increased by more than 1,000 to a final total of 10,743 during the same time period. JAA’s general aviation airports also experienced an upswing in operations traffic (landings and takeoffs) during year end. The number of operations at Jacksonville Executive at Craig Airport rose more than 10%. Cecil Airport posted a nearly 10% increase in its activities during the month of December. Fuel sales are the best indicator of operations activity at JAA’s Herlong Recreational Airport. Herlong saw a 7% increase in fuel sales for October, November, and December, over the same period in 2009.